Former India cricketer and Yuvraj Singh’s father Yograj Singh has slammed MS Dhoni saying the India captain ridicules the same media which has given him so ‘much hype’. This post will decode his words. In an interview to a Hindi news channel, Yograj said Dhoni was ‘nothing’ and it’s the media which has made him a star. Media did not give much hype to Dhoni. It was Dhoni's brilliance with the bat in the year 2005 that made him who he is now. Yes the media is biased and what we read in newspapers and see on TV is not real news but only opinions of journalists. The same media which gave hype to Dhoni also blasted Dhoni on many occasions. So Yograj Singh's statement that the media gave him hype does not hold good as a good argument point. “There was a time when he had nothing but today he sits in front of media and rips off the media persons. He laughs at media who has given him so much hype. He laughs at the Indian people who clap when he scores a run. Honestly, if I were a media person, I would have slapped Dhoni right there,” he said. Mr Yograj Singh is right and wrong at the same time. Yes! Dhoni has the gift of the gab and he put the media personnel in their place in the post match press conference after India's defeat against the Australians in the 2015 world cup semifinals. He never laughed at media persons. He exposed the stupidity of that journalist who tried to corner him with a silly question. More over Dhoni never laughed at Indian people. Finally a media person does not have the right to slap and become a moral police. So Yograj Singh is brutally wrong in his statements about Dhoni and media. Yograj even went on to liken Dhoni to Ravana. “Dhoni is arrogant. The way Ravana’s proud came to an end, Dhoni will also suffer some day. He considers himself much above Ravana. I feel really ashamed when other cricketers come and tell me about Dhoni. Earlier, I used to think that people must be cribbing about Dhoni due to jealousy. But when the cricketers told me about him, I think I have never seen a terrible person like him ever in my life,” he said. Yograj Singh's comparison of Dhoni to Ravana may be his own opinion. He may have a point there. He has said that many cricketers have come to him and have confessed to him how bad Dhoni is. Sreesanth's father told the same thing a few months ago. But none of them are actually telling how exactly Dhoni behaved like Ravana. Yograj Singh is venting his emotions with anger. Instead of that, if he could have listed down the reasons why he considers Dhoni as Ravana, then he may have had a valid point. But by not doing so, he fell prey to hundreds of Twitteratis who made fun of that statement with memes and taunts. He also questioned Dhoni’s decision to elevate himself in the batting order during the World Cup final in 2011 and blamed him for taking the credit instead of his son Yuvraj. “In the 2011 final, Yuvraj was going to bat but Dhoni stopped him and went to bat and became a hero. Why didn’t he bat at No. 4 this time? Why did he go at No. 6? If he considers himself great then he should have batted at No. 6 and guided India to a win against the Aussies,” he said. Yograj Singh's argumentative skills goes for a toss here. In 2011 final Dhoni went up the order and won the match for India. Yuvraj Singh was the man of the tournament. Yuvraj finished the game along with Dhoni by giving him great company. But in the 2014 world T20 final against SriLanka, the same Dhoni who is accused of not allowing Yuvraj to come up the order, actually allowed Yuvraj to go ahead of him to up the ante. But it was Yuvraj's useless knock that made SriLankans to thump India in the finals. Yograj Singh kept quiet at that time. I cannot jump to a conclusion and say that Yograj Singh is wrong. Even Yuvraj Singh has tweeted positively for Dhoni even after his dad cursed Dhoni. Yograj Singh is definitely going through some hurt. It is definitely because of Yuvraj's omission from the squad. But the manner in which he has come out and spurred out words has only made things worse for himself. If he really has a point, he should come out with apt words and conveyed the matter clearly. Most of us are emotionally driven people and we react subjectively to the matter. People have started hating Yograj Singh because of the manner in which he has come out in the open. 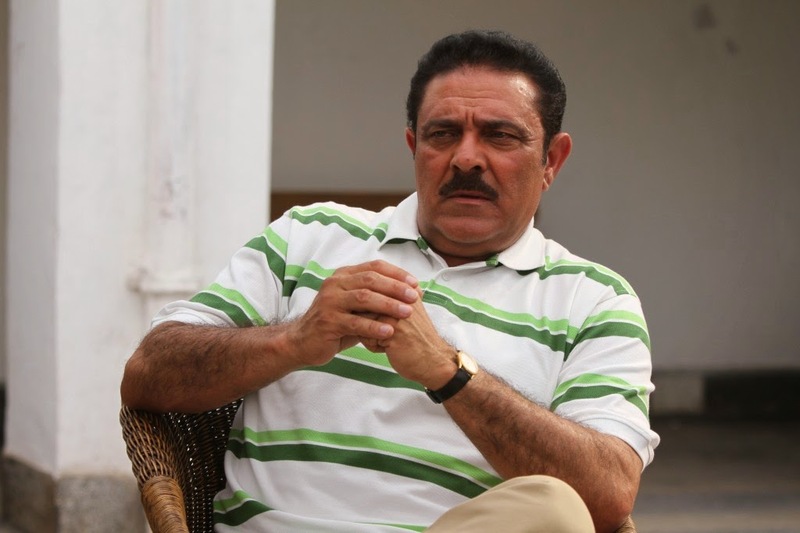 Trivia about Yograj Singh : He is movie actor and a former player for team India. He has played 1 Test and 6 one day Internationals. He was one of the fastest bowlers India had during his time and he was known for his late off cutters. Yuvraj Singh has lot of cricket left in him and he is the highest paid player in this year's IPL. Hope he will settle things once and for all and make his way back into the Indian team by letting his bat do the talking. It is not easy to defeat cancer and then make a come back into the team. Yuvraj has already done that and best wishes to him for making yet another come back.